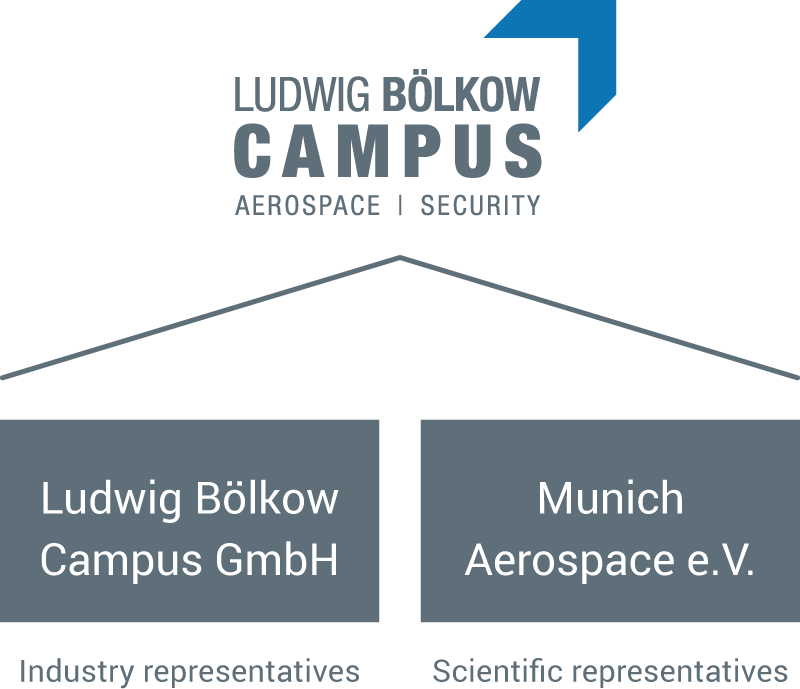 Two legal entities are responsible for the management and development of the Ludwig Bölkow Campus: The association Munich Aerospace e.V. representing the scientific partners, and the Ludwig Bölkow Campus GmbH (LBC GmbH) representing the industrial partners. Both parties have signed a contract, which governs the cooperation on campus. Munich Aerospace represents the interests of its four scientific members on campus: The Technical University of Munich, the University of Federal Armed Forces Munich, the German Aerospace Centre, and the think tank Bauhaus Luftfahrt. Munich Aerospace's research network consists of roughly 150 researchers from 27 countries. The LBC GmbH is a joint venture of Airbus, Siemens, and IABG. The GmbH is particularly responsible for the marketing of the campus, the settlement of new companies on campus, and the contacts to the political arena.